Closures of attractions and events at Walt Disney World are necessary from time to time in order to ensure that guests get to enjoy the most magical experience possible. Disney completes a variety of different scheduled refurbishments to provide updates and maintenance that is necessary to keep everything looking top notch for guests. We have learned that Tom Sawyer Island is one of the upcoming attractions that will experience a lengthy closure. Tom Sawyer Island, located within Frontierland at Magic Kingdom Park, will close for 2 months starting in mid-October. Currently the closure is expected to last from October 14th, 2018 through December 21st, 2018. Guests visiting during this time will not be able to venture to Tom Sawyer Island at all. Tom Sawyer Island is accessed by a log raft across the Rivers of America. You get to explore Harper’s Mill, Injun Joe’s Cave, Fort Langhorn, Potter’s Mill and Tom Sawyer Scavage Fort. It is a fun place for the whole family to explore and go on an adventure. It is an experience of exploration before there were smart phones and modern conveniences. 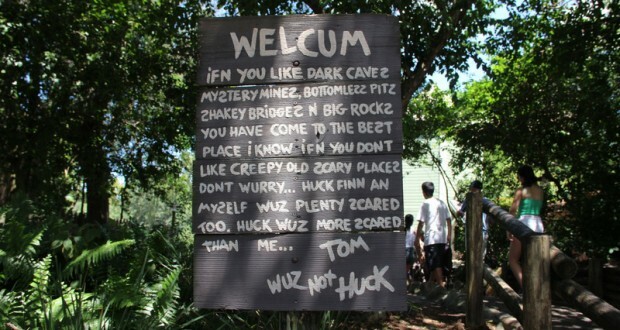 Who typically visits Tom Sawyer Island when at Walt Disney World?